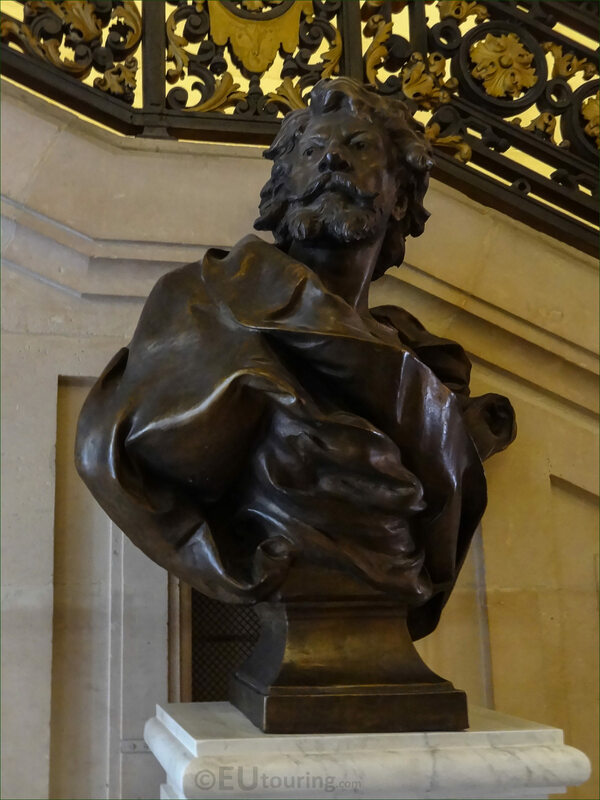 We were at the Comedie Francais in the 1st Arrondissement of Paris, when we took these high definition photos showing a bust of Jean Mounet-Sully, which was sculpted by Lucien Pallez. 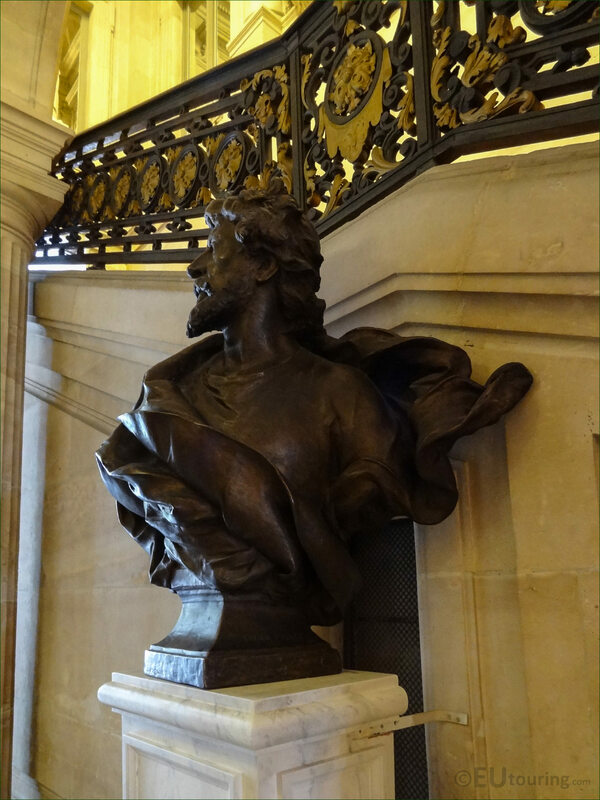 In this first photo you can see a bust that was made of bronze to depict Mounet-Sully, who was actually born in Bergerac in 1841 with a name of Jean-Sully Mounet, yet becoming an actor, he used a stage name of Mounet-Sully dropping the Jean completely. Having initially studied at the Paris Conservatoire Mounet-Sully was asked to play the part of Oreste in Racine's Andromaque at the Comedie Francaise in 1872 and his acting made an instant impression, becoming recognised as a great tragedian, which is an actor who specialises in tragic roles, yet he was also recognised for his romantic roles and became a major figure at the Comedie Francaise. 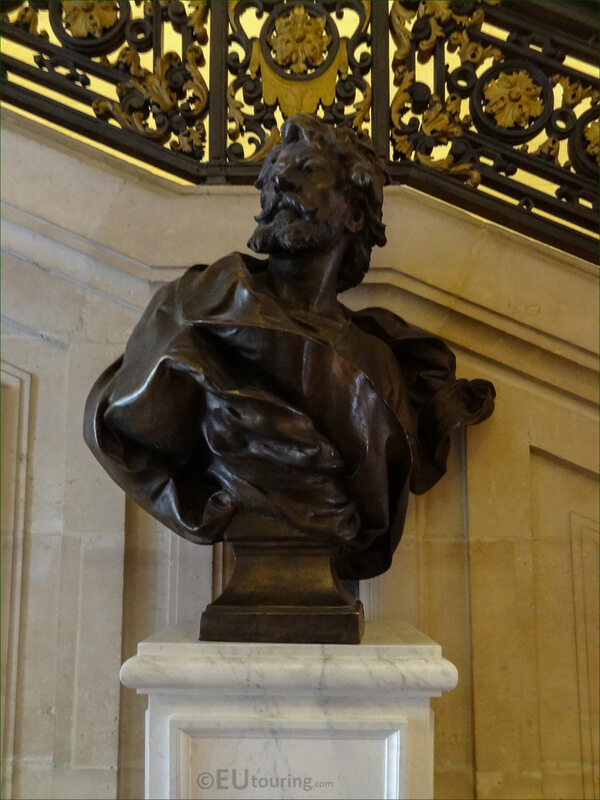 Now this bust statue of Mounet-Sully was produced by Lucien Pallez who was born in Paris in 1853, studying under Eugene Guillaume and Aime Millet to become a French sculptor, first presenting works at the 1873 Salon for French artists and gained a medal two years later and travel scholarship a few years after that. 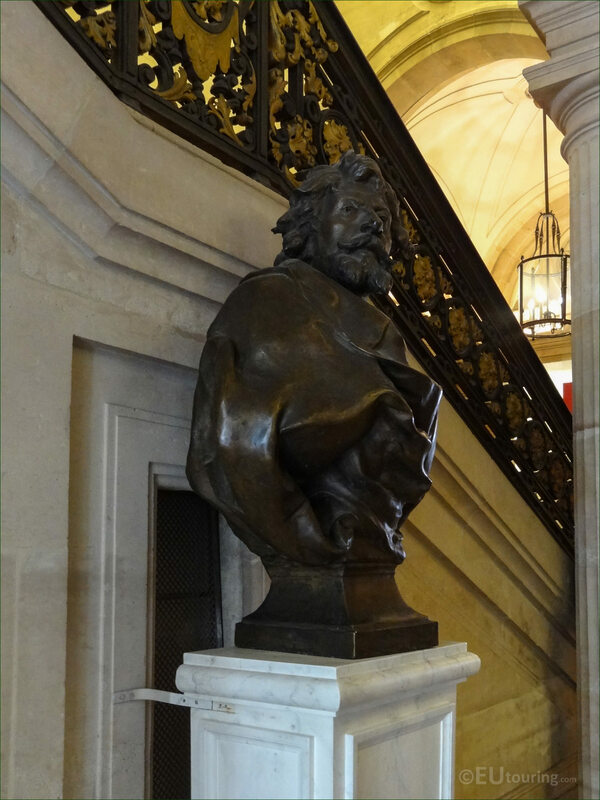 Unfortunately, little else is known about the sculptor Lucien Pallez, and even when or where he died we have been unable to find out, but this particular bronze statue bust was sculpted in 1917 as you will see below, so he was certainly still alive then, and works of his are now preserved in different museums throughout France including another of Jean-Sully Mounet at a museum in Bergerac where the actor came from. 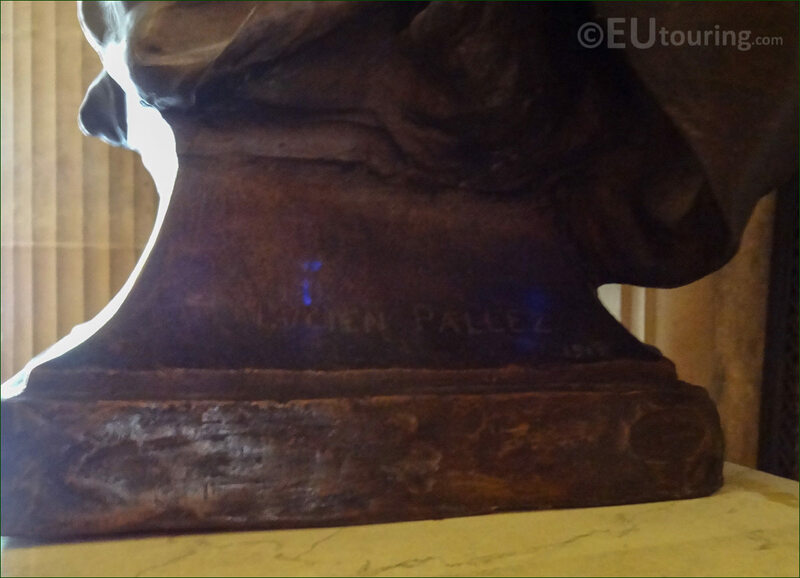 So in this photograph, although it is hard to make out due to the poor lighting conditions, you can just see where the artist Lucien Pallez has inscribed his name onto the side of the bust right near the base, and to the right hand side, just below the name is the year 1917, when this bronze sculpture was produced.